Ed Tittel is a full-time writer, trainer, content developer, and consultant and an occasional expert witness on Web tools and technologies. 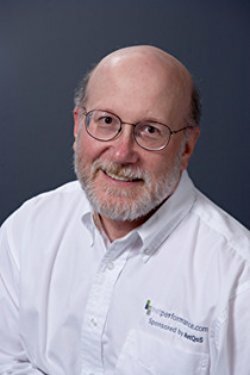 A contributor to over 100 computing books, Ed’s biggest publishing win is the creation of the Exam Cram IT certification preparation series in 1997 (now a property of Pearson Education, with over 200 titles in print), for which he was series editor until 2006. Ed has also written over a dozen full-length …For Dummies books, including titles on HTML (now in its 13th edition), XML, and Windows Server, plus various custom …For Dummies publications for companies that include Ciena, Platform Computing, and Clarity Systems. Ed is a regular contributor to various TechTarget.com Websites, and blogs on IT Careers and Enterprise Windows Desktop topics for them as well. He is a contributing editor for Tom’s Hardware and Tom’s Guide, and also writes regularly for ITExpertVoice.com on Windows and Networking topics. Ed has also authored white papers, courses, and e-books for companies that include Microsoft, Novell, Cisco, Symantec, and many others. For a complete bio and list of publications visit Ed’s Website at www.edtittel.com.